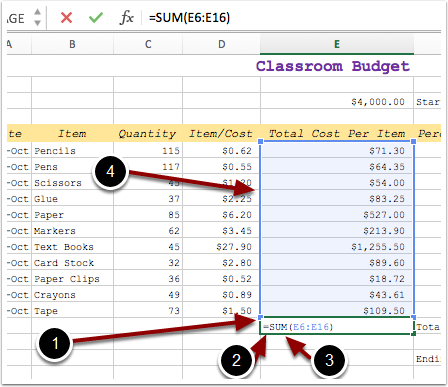 EdTech Help GuidesED206 Excel TCAHow Do I Complete Formulas And Functions? 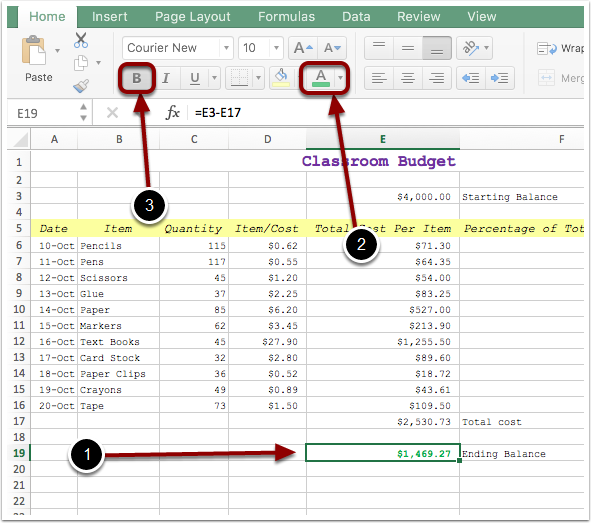 Below are instructions on how to enter formulas and functions into an excel spreadsheet. 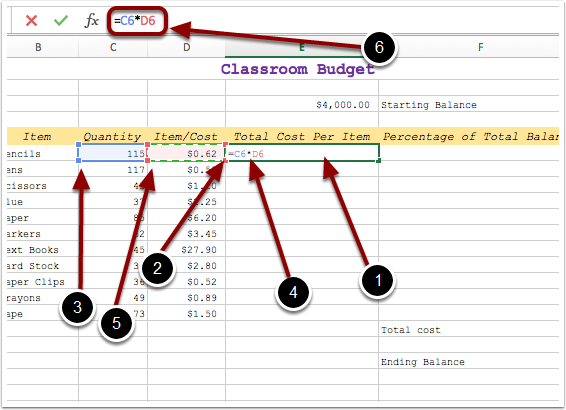 Keep in mind that formulas and functions are different. 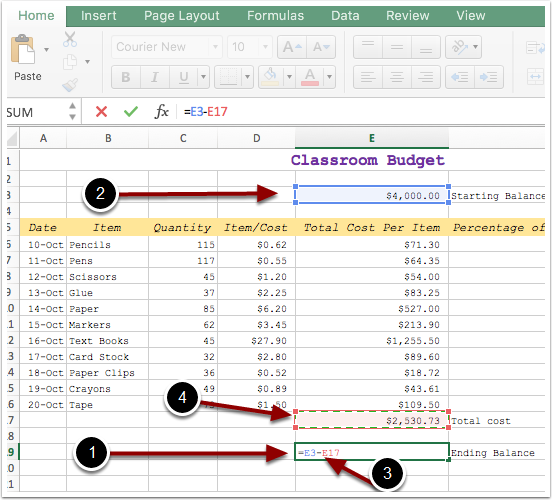 If it specifies to use a formula, use your own equation to get the desired result. 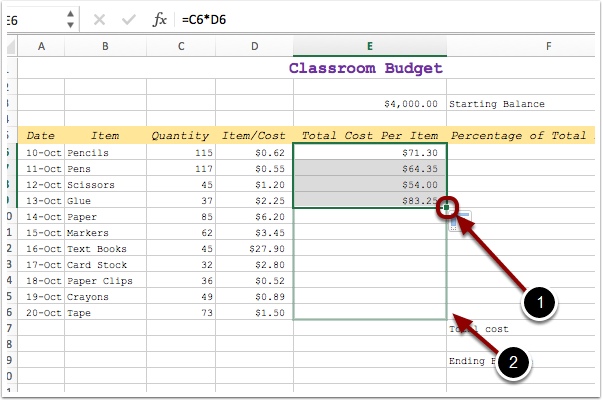 Functions are formulas already built into excel (such as SUM and AVG). 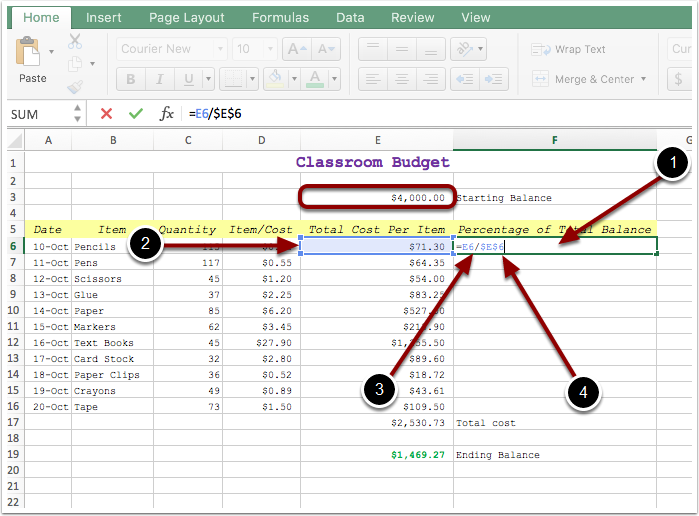 Prev: How To Change The Format Of Dates? 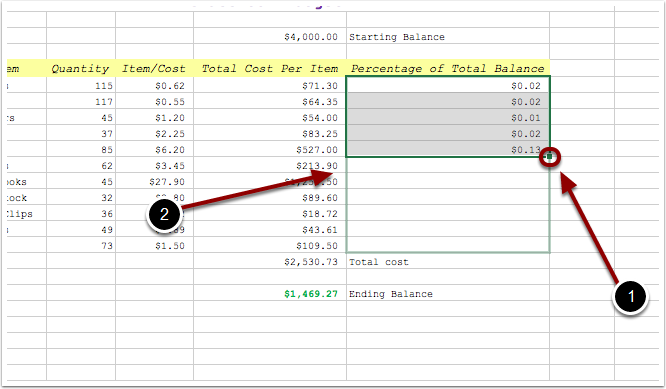 Next: How Do I Change Data And Decimal Places?